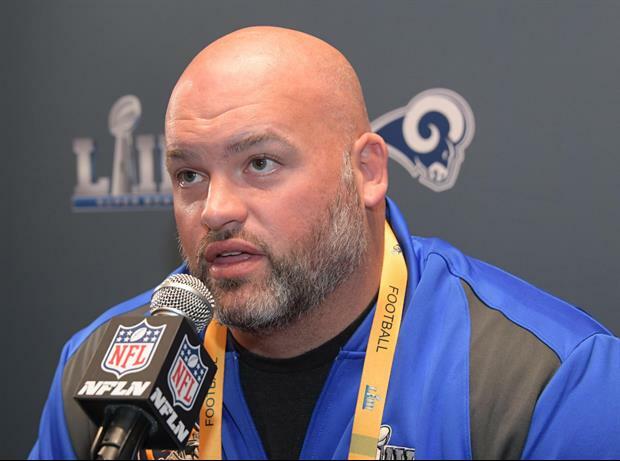 BATON ROUGE – LSU’s list of former football players that won a national title in college and then went on to win a Super Bowl could grow by one on Sunday as Andrew Whitworth has a chance to join the elite list. Whitworth, who is the oldest offensive lineman in the NFL, will start at left tackle on Sunday when the Los Angeles Rams face the New England Patriots in Super Bowl LIII in Atlanta. Kickoff for the contest is set for 5:30 p.m. CT on CBS. Currently, 15 former LSU football players have won both a national title and a Super Bowl with punter Donnie Jones being the latest addition to group. Last year, Jones helped the Eagles to their Super Bowl win over the Patriots. Jones won his national title with the Tigers in 2003. Johnny Robinson was the first Tiger with this accomplishment, winning the 1958 national title at LSU and then being part of Kansas City’s win over the Minnesota Vikings in Super Bowl IV in January of 1970. Robinson intercepted a pass and recovered a fumble in the Chiefs Super Bowl win that year. Currently, nine players from LSU’s 2003 national title team went on to capture a Super Bowl title, while five members of the 2007 squad won a Super Bowl during their NFL career. You know, none of this is really the Rams fault. It’s the Refs and the NFL’s fault this Super Bowl has an asterisk attached to it. I wish Whitworth the best, but I also won’t be tuning in. As much as I hate the Patriots, I hope they beat the brakes off the Rams. And make Whitworth look slow, old and useless while doing it. Such a shame of a game. Loser! Unlike you, Whitworth has class and is a winner! I’d love for him to get one but not with the rams. They don’t deserve to be there. Superbowl....The theives playing the cheaters. This is so funny. What would you consider your beloved Saints in the 2009 season? For goodness sakes, these guys were running a pool to try and intentionally injure other players. As much as I detest Brett Favre, what the Saints did to him in the NFCCG was disgraceful. Blatant non-calls in the Dome. You still consider the Saints the rightful champs?? It is all about your perspective. Loser! Unlike you, Whitworth has class and is a winner! Hope you don't run out of tissues! Its not the 2 best teams therefore it is not the "Super Bowl". The outcome is already planned as well. frick this game! Well, Mr. Know-it-all bengal, please tell us the two best teams. Did you see the Saints' DEFENSE give up a 13 point lead, a 3 point lead after "the Call", and allow the Rams to drive and kick the game winning FG in OT after god's QB threw an interception. Keep crying, whining, and making excuses! Big Witt has been an ambassador for LSU and the STATE! Taking your frustrations out on him is just freaking stupid. To the idiot who said he was a fan of Saints long before LSU - what does that have to do with anything? LSU has been around a lot longer and has been WAYYY more beneficial to the residents of the state of LA. You all can GFY's. I love the Saints and LSU and will support both Whittworth and Brockers but hope that the Rams still lose. Rams had to get outside assistance to tie it up in regulation. Understood genius, however the end result was determined not by players but by referees. Having the Rams on the front page of this website is a disgrace. Agreed. F this guy and F the rams. A Louisiana native and a four year starter with 52 games started at LSU, but you pathetic Saints fan pick them over LSU! Go Pats. It’s only right at this point. I doubt you would say that to a 52 games starter at LSU while winning a national championship. Saints fans are beyond trash, immature, and losers! I guess we're choosing to not count Perrilloux since he got kicked off the team, but he technically belongs on this list. The best OT to ever play at LSU and AINTS fan hate him because his NFL team that he plays for beat them. Whiney arse losers! I hope he has an outstanding game, but I couldn’t care less who wins or loses. The SB is dead to me, as is the NFL in general right now. I just don’t care anymore to be honest with you, and I don’t think I’m alone in that.